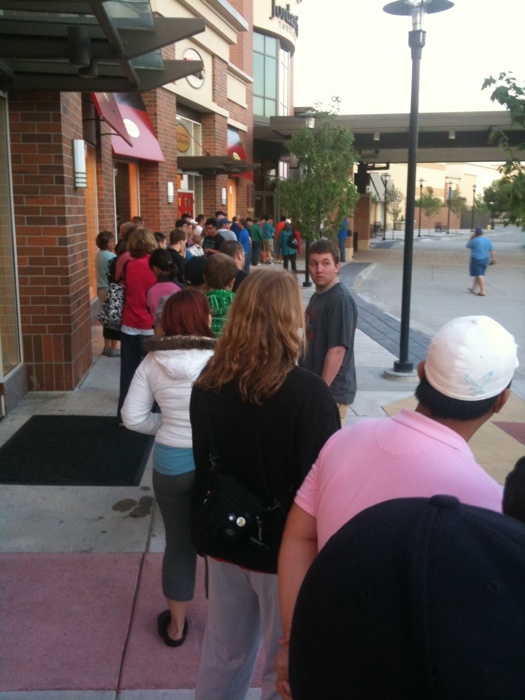 Below will be the live stream are photos and videos of waiting in line at the Apple Store to get the iPhone 4. Doug says he will startstarted the stream around 6:00am CST. 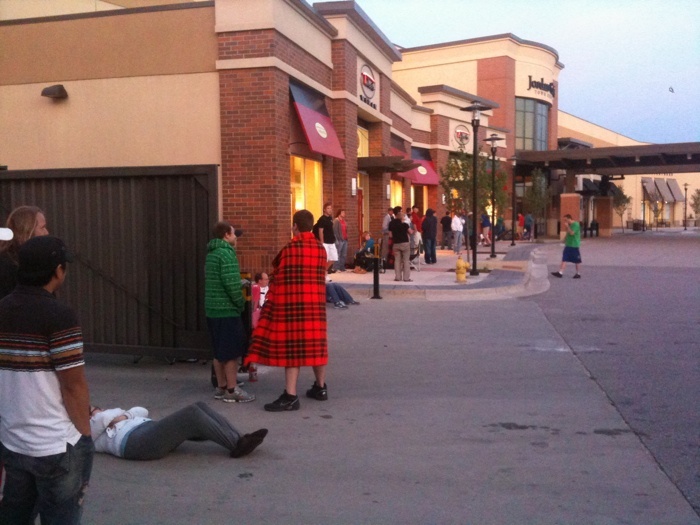 He waited in line since around 1:00am CST last night. So far we’ve heard one crying baby and a guy throwing up so this should be an interesting night. It seems like there’s a decent mix of preorder and nonpreorders. I came to the store earlier in the day and they confirmed there were enough iPhones that I would get mine. 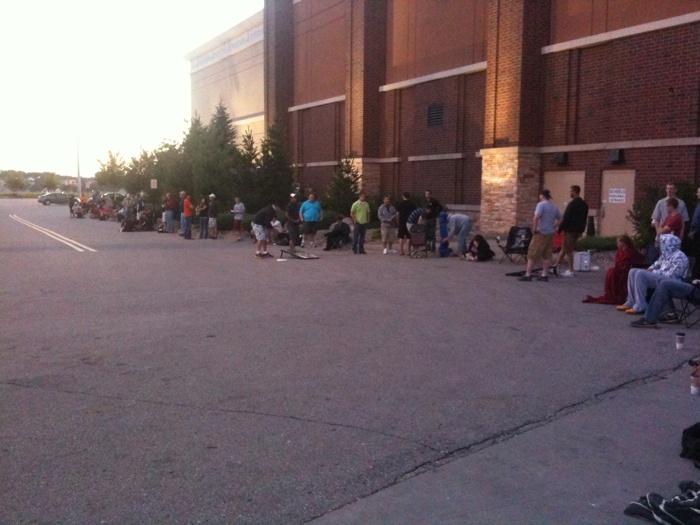 I’m still waiting in line :) I’ll keep you update through this blog and Ustream live video streaming later in the morning. I pre-ordered and got it delivered to my house two days early. Why do people insist on standing in line for 3-4 hours? Because Apple didn’t give some people the option to have it shipped…I for one tried but they only would reserve it for me. I was able to get it delivered last year with no problem. This year is a different story. I thought this is a live blog? There were 5,000 lined up at one of the four Apple stores at Lenox mall in Atlanta this morning. Thousands were reported to be at the three others too. People in Atlanta GA are crazy! Did you got your new iphone 4???? 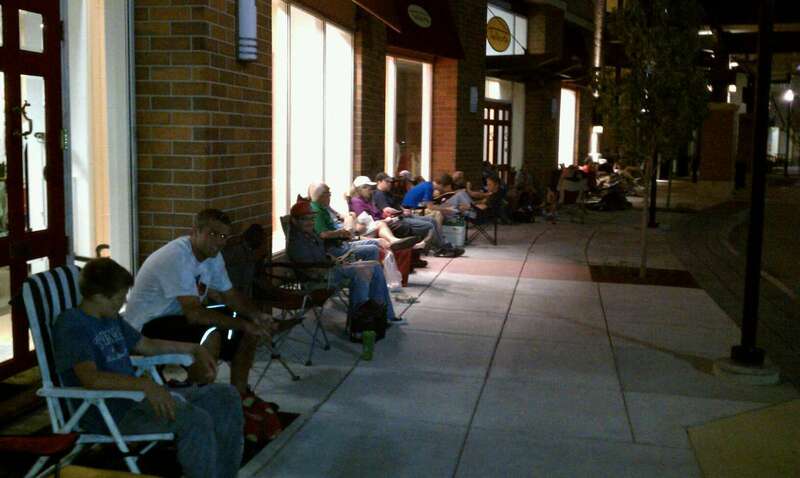 I waited in line for 14hrs for the iPhone 4 32gb…lovn the new iPhone!! Dude can you make a quick test? Hold the iphone 4 woth your left handcovering the lower left corner. Does the signal decrease if you continue to hold it that way? All these problems have scared me!!! I hope there are some left over tomorrow morning. I want a 16G this time, I have a 32G 3GS Jailbroken 3.1.3 for sale. But it’s too many G’s for me. I always have 19-20G’s left over after sync. I got to my local (and when I say local I mean an hr and a half drive) apple store at 2:30 am and got my phone at 9:30 with no reservation. Everything went really smooth. God I’m beat though. Now if I could only put it down and go to bed. Lol! I haven’t really had that reception problem with my new iPhone 4 32gb…Haha I can’t put my phone down what so ever. Any frequency issues? No blog posts on those?